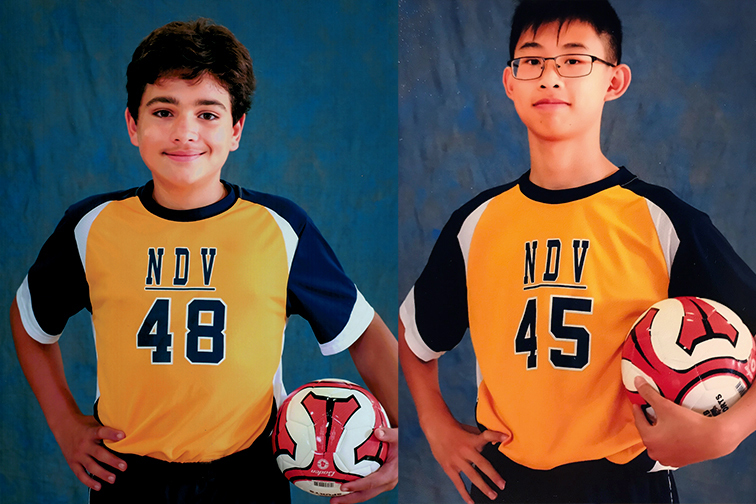 Congratulations goes to eighth grade students Gabriel C. and Eason T., who were selected by their coach to represent NDV at the annual 8th grade boys’ Soccer Achievement Series. 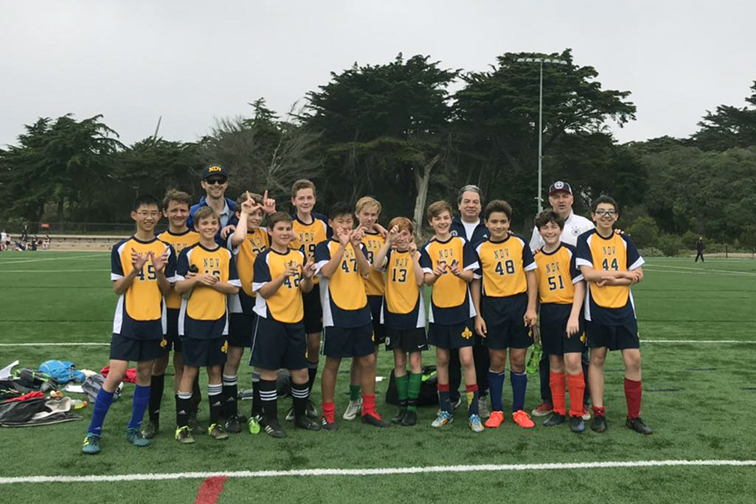 They were chosen for showing team spirit and cooperation with coaches and teammates and for reflecting well the spirit of CYO sports. The game will be played on Sunday, November 11th, 2018 at USF at 1:30 p.m. Congratulations, Gabriel and Eason! In addition, here are some fun things to know about Gabriel. 1. What is your favorite subject? 2. What is your best memory at NDV? I have a lot of great memories but playing games in after school with Mrs. V is a good one. 4. What is your favorite past-time or hobby? Playing with my dog and bird, reading, video games and skiing. And fun things about Eason. When we went to the pumpkin patch with our kindergarten buddies. 3. What is your favorite personal memory? I visited Singapore because it was my very first foreign country I visit and I also got a pirate sunglasses at the Singapore Universal Studio which was a pretty memorable souvenir from Singapore, but unfortunately, I lost it when we moved to our new house. 4. If you could be any animal in the world, what would it be? I would be a whale because it’s cool to see the world of underwater. I would name myself Azlan, because it seems like a cool name and it’s a pretty special name. I would go to Mongolia because of its emptiness, people might think it’s boring to visit, but I think it’s quite refreshing there.